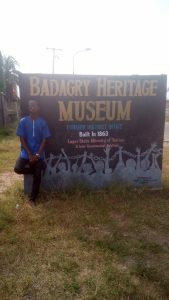 While we drove down to the historic Badagry heritage museum, I couldn’t stop wondering why many tipped it as the best museum in Badagry. While many claimed it had the best collection of artifacts, many said it is the best due to its serene and spacious environment. 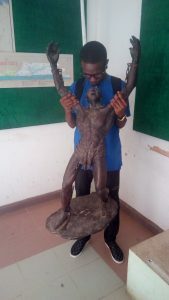 However, none of the above really informed my judging Badagry heritage museum as the best in Lagos aside the way it really gave a very clear picture of Trans-Atlantic slavery in West Africa. We wait for him to eat and rest a bit before attending to us. 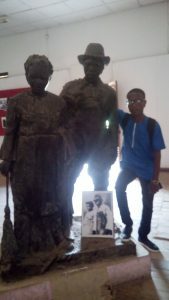 I quickly went for the first option on knowing that his eating and resting will be a form of delay, not after my ridiculous experience at the Mobee family museum. So I gave him #300 for the two of us instead of the normal #400 (i.e #200 per head). He told us how to navigate the building before wishing us good luck. I was torn between taking pictures and touring the edifice so I quickly took a shot with this slave before starting my tour. 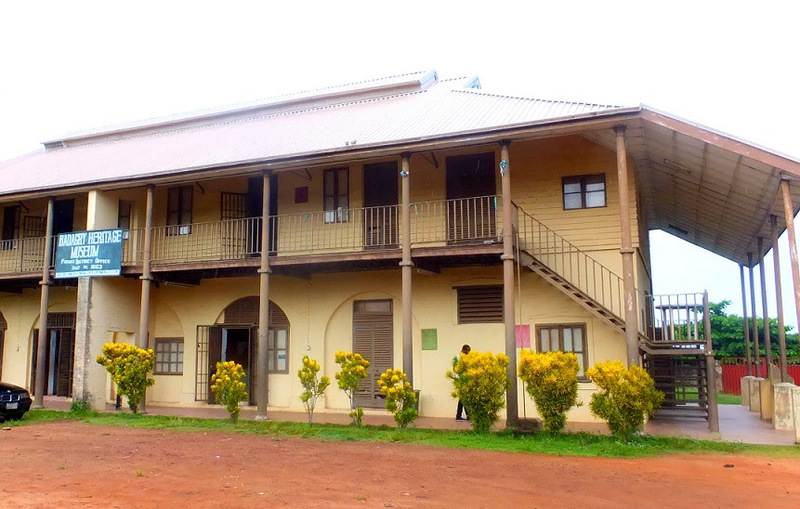 The African domestic ‘slavery’ system treated the slaves as a dependent members of the master’s household, utilizing its labour within the family activities such as farming, trading and domestic chores which were often than not, also carried out by the free-born members of the family. During the 16th– 18th century, the West African trading ports developed into powerful political units based on the growing international slave trade. A network of trade routes and markets in the interland supplied the slave commodity to the coastal ‘baracoons’, (local cells where slaves are kept) awaiting the Europeans supercargoes (slavers) to pick their human cargo. 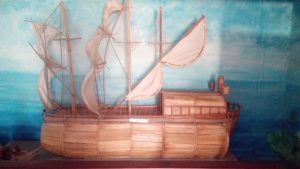 Each captain has his own trading contacts (local chiefs) and provided them with credit facilities, in form of trade goods to be used in acquiring slaves prior to his ship’s arrival. The captain gave the customary presents (‘dash’) to the local chiefs and paid levy (‘comey’) for permission to trade in slaves unmolested. The main facilitators of the Trans Atlantic slave trade were Europeans and African tribal chiefs on the slave coast. King Wawu of Badagry was an important facilitator, he was so powerful that he was recognized by the Europeans. However, he also helped tremendously to stop this illegal trade with the aid of the British who gave him canon guns with which to resist hardened traders. Other notable facilitators in Badagry were chief William Seriki Abass, in whose compound can still be found a caged cell used in keeping slaves , and high chief Sunbu Mobee in whose lineage is still in possession of slave chains, drinking bowls etc used in the illegal trade. 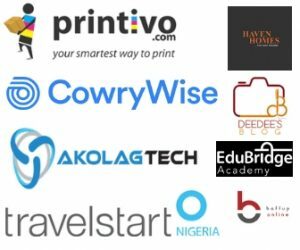 There were a lot of European facilitators, amongst them were captain Jim Hawkins, captain Hugh Crow, Ferman Gomez- who was also given a monopoly of trade by king Alfonso of Portugal in 1469. He settled in Badagry, Nigeria in 1473, became the friend of Egun people who called him Freemingo. He indulged in the slave trade so much that, he sold his friends, the Eguns whenever there was a lack of slaves for the ready merchant ships. He was eventually murdered by his “friends” and buried in Badagry. As slaves come down from the inland country, they are put into a booth (barracoon) or prison built for that purpose near the beach, where they were securely chained together, where Europeans are to receive them. They were brought out into a large plain, where the ships surgeon examine each slave carefully, every inch of their bodies was inspected from the smallest member to the greatest of them, men and women being stark naked. Such that are good , sound and fit will be set aside and the other group by themselves: the rejected are called “macrons”, they were probably above 35 years of age, or defective in their lips, eyes or teeth, they had grown grey hairs; or might had contacted diseases or had any other imperfection. The slaves that were passed as fit were branded or marked on the breast with a red-hot iron, imprinting the mark of French, English or Dutch companies so that each nation may distinguish their own property and so as to prevent their being changed by sellers for others that are worse… in this particular, care is taken that the women as the most feeble, are not burnt too hard. Before the infamous trans-Atlantic slave trade, West African slaves were procured through the sales of local criminals and social undesirable elements, domestic slaves, debtors, prisoners of war and weakened enemies or rivals. As increasing demand for slaves began to exceed the exportable surplus, merchants and local chiefs began to look for ways to secure more slaves. Unwary strangers and free Africans were kidnapped, by Europeans and Africans gangs of slave hunters or raiders who sacked whole towns, villages and hamlets in order to acquire more slaves. The usual procedure of slave hunters, was to arrive before dawn and surround the village, set fire on huts and as bewildered inhabitants tried to flee, the men were shot, others enslaved, including the women and children. The buying and selling of slaves on the coast was a complicated business, in Yoruba land, the price was calculated in cowries, iron, copper bars, in the Niger delta, manilas were utilized, slaves in the Efik, Ibibio and Ibo land areas were much higher than in the interior where a few piece of cloth, guns and gin could procure a large number of human beings, there was no common trading currency in use throughout the coastal districts. At the American side of the Atlantic Ocean, slaves were groomed in pens and prepared for sale. Advertisements and posters announced where public auctions of slave labour for plantations, mines and domestic establishments took place. The Africans were sold like cattle to the highest bidder. The enormous profits of sale (running into several hundred percent), more than compensated the high risks. After the release of the slave cargo in America, the slavers loaded plantation produce (sugar, tobacco, cotton, minerals) and took it to Europe, from where they picked up cheap manufactured goods and set sail again for African coast in order to exchange them for more slaves. We rounded it all up by buying a film as advised by one of the museum attendants. 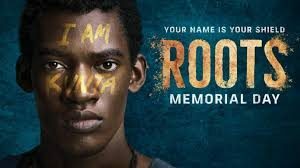 according to him, this film titled roots will give us better understanding of slavery in Africa.